Just how sorry are you in your emails? To get what we want, we may pad our emailed requests with softening qualifiers like “So sorry!” and “Just,” even when we are not sorry at all. One Gmail plugin wants us to cut this behavior out and stop apologizing for everything we do at work. 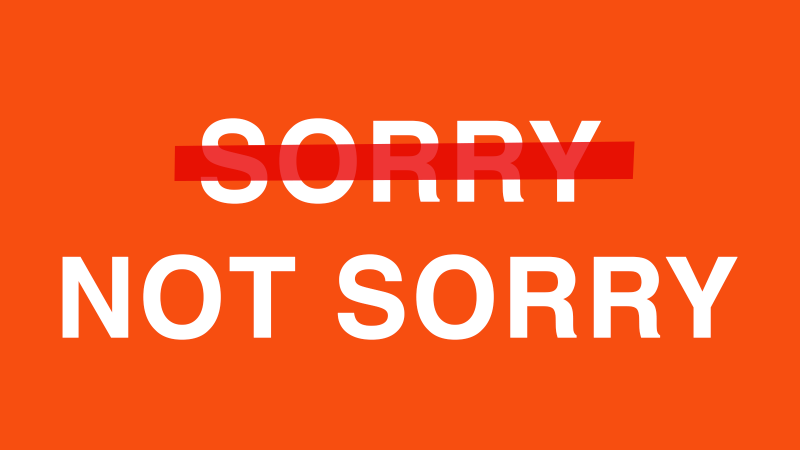 Created by Tami Reiss, Steve Brudz, Manish Kakwani, and Eric Tillberg of software consultancy group Def Method, the Just Not Sorry plugin seeks to “stop qualifying our message and diminishing our voice” by pointing out our use of “sorry” in emails, so that we edit ourselves from using them. Once you download the Chrome extension, the plugin underlines anytime you write a problematic qualifier like “just,” “sorry,” “I think,” or “I’m no expert” in red, the same way a word would get underlined as an error if you misspelled it in spellcheck. Using qualifiers can make you appear weak, Reiss argues. Just Not Sorry is aimed at women in particular. In her Medium post, Reiss frames the plugin as a service to embolden entrepreneurial women. One study found that women have a lower threshold than men for what kind of offense requires an apology, which may explain why women are perceived to be frequent apologizers. If you’re prone to peppering your speech with compulsive sorries, then a tool like Just Not Sorry can make you more aware of how you speak. But not everyone is convinced about the plugin’s service as a social good. In response to Just Not Sorry, linguist Debbie Cameron wants us to understand that language is contextual, and not every “just” should be seen as demeaning.